The Bhogdahar Bridge-Sohidul House road in Dhubri. 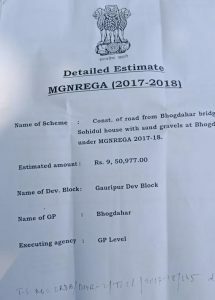 The residents of Bhogdahar in Dhubri have alleged massive anomalies in Mahatma Gandhi National Rural Guarantees Act (MGNREGA) works in Bhogdahar Gaon Panchayat under Gauripur Development Block of Dhubri district. 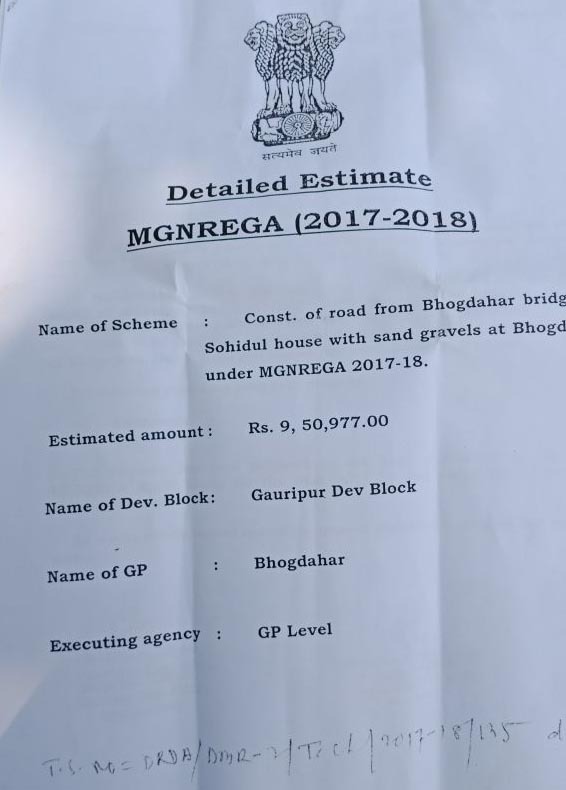 The locals said for smooth communication of the people in Bhogdahar area an amount of Rs 9,50,977.00 was allocated in the financial year 2017-18 for construction of a road from Bhogdahar Bridge to Sohidul House (Length 705.00 metres) with sand gravels, but the guidelines set by the government for construction of such road have not been followed. While expressing dissatisfaction over the construction work, Abdul Rahman, a resident of Bhogdahar alleged that as the entire construction work has been executed by the Gaon Panchayat (GP), the members had worked without following proper guidelines. “It is a matter of great surprised that in the aforesaid estimate, it was clearly mentioned about the construction of road with sand gravels, but the villagers have hardly found a single piece of any sand gravel on the road,” added Rahman. The residents of Bhogdahar further also alleged nexus between the GP members and the officers at the district level. “So, the Gaon Panchayat members have executed the road constriction in such a manner with any fear,” alleged the locals. 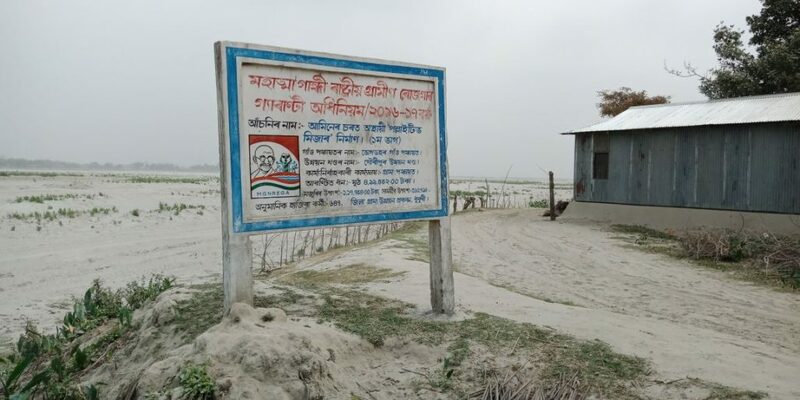 Some other villagers also said even though the matter was brought to the notice of the Block Development Officer of Gauripur and the District Rural Development Agency (DRDA), Dhubri, but no step has been taken in this regard till date. The villagers have demanded a high-level inquiry into the matter and punish the guilty.